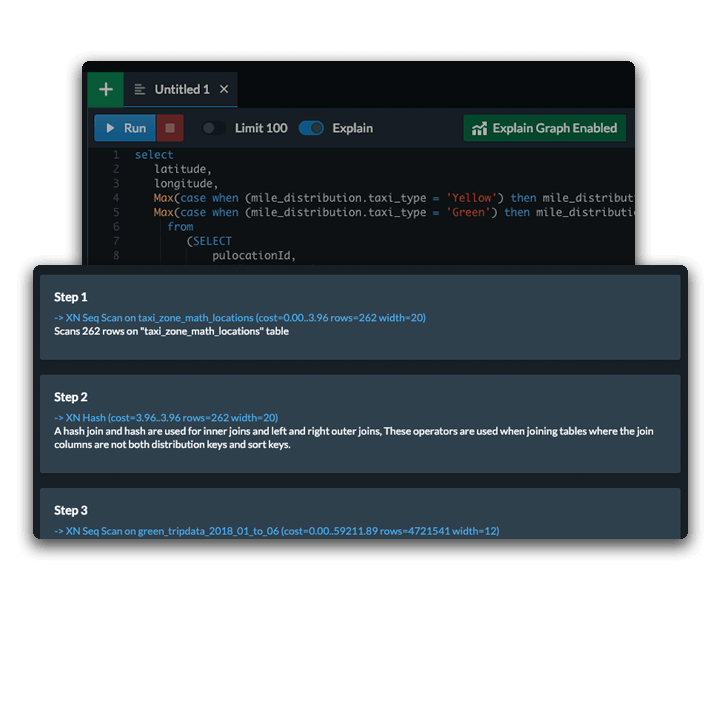 DataRow’s approach to the EXPLAIN command completely changes, speeds up and simplifies the way we work. With automatic syntax application and visual outputs, you can get the most from your data. Just a button click performs the EXPLAIN Command; DataRow executes the query to perform the EXPLAIN Command and makes it ready for you. 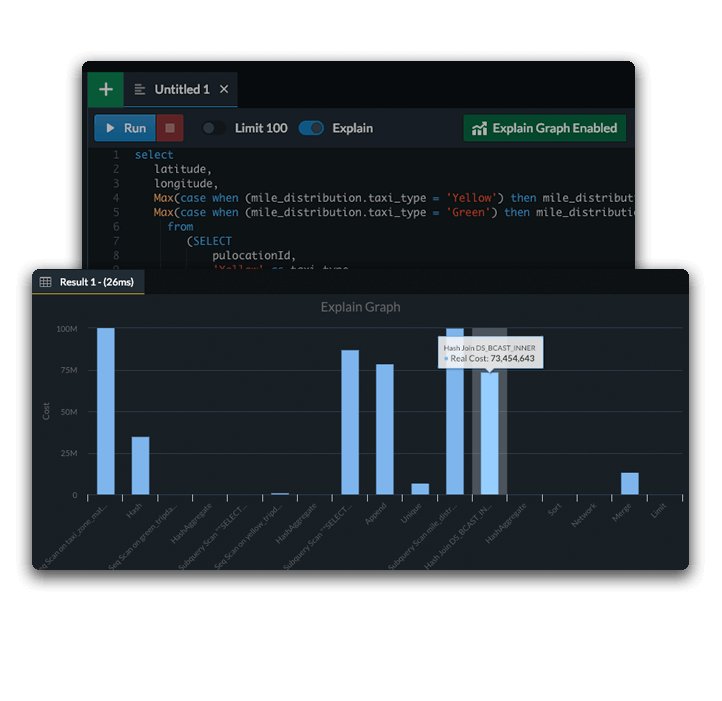 With the visual output of the DataRow’s EXPLAIN Graph, you can interpret your Query Plan at a glance. The graphical output created with the Cost, Rows, and Width metrics will make your work very comfortable. 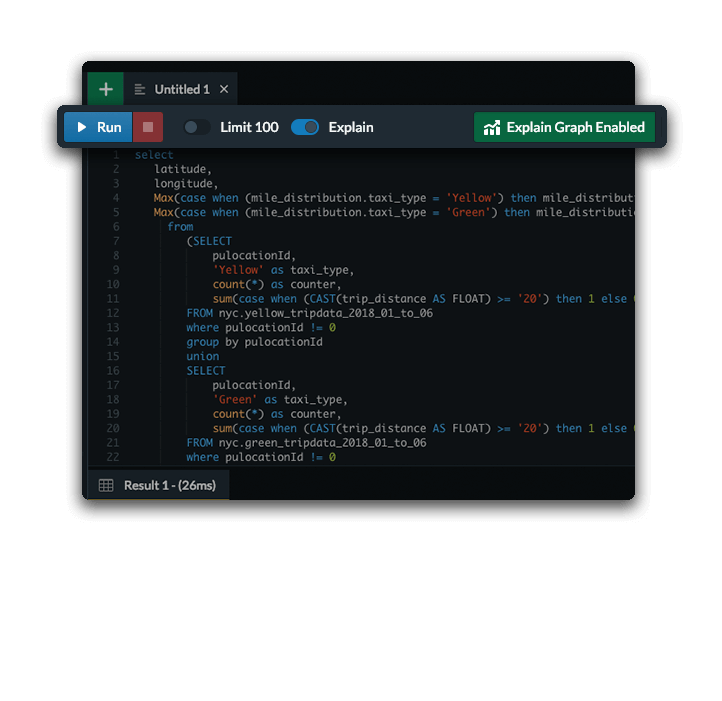 You can see the Steps of the EXPLAIN Command, and the Query Plan created. DataRow provides you with a more understandable explanation of each step. You can instantly see the easy description of each step.